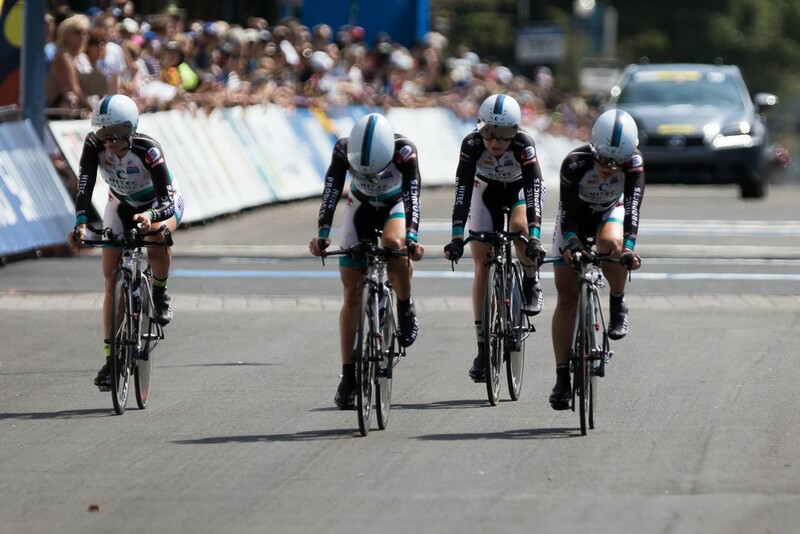 We hoped for a good result in Richmond for the proteams’ TTT Sunday. The hopes was dealt a hard blow when Charlotte Beckers’ bike was disallowed by a UCI commisaire 4 minutes before the start, after the bike was approved in the pre-race check 1,5 hours before. The bike has been used in 5 UCI races this year. So the team had to start with 5 riders, and the girls did a decent result with a 10th place. The first 10 teams takes the precious UCI points that count as the “5th rider” in the 2016 world rankings. Velocio Sports won the race ahead of Boels Dolmans and Rabobank.